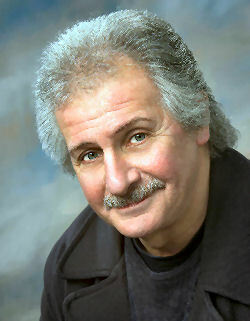 Pete Best published a book in 1996 and Bob Henrit went along to talk to him at the time about it and various other Beatles-related subjects. 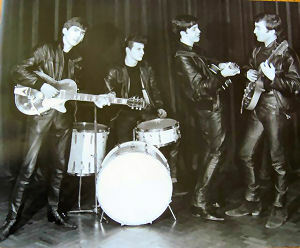 This was just after the time the ‘Anthology’ material was released which brought further riches to all five Beatles. 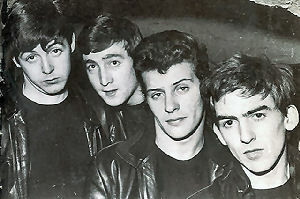 It should therefore be read with the sure knowledge that Pete Best was about to inherit the fortune – although not the fame – which was rightfully his. 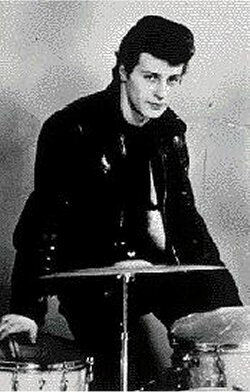 Pete Best is the original Beatles’ drummer who was sacked in 1962 for (depending on whose version you listen to) being the most popular member of the band, or not being a good enough player. This was just before the first Abbey Road recordings were completed but some time after the Hamburg sessions with Tony Sheridan which found their way onto the ‘Anthology’ compilations released in 1995. Since his enforced and lengthy retirement from the music business Pete has bought himself a new drum kit, started out on the road with his own ”name” band and, thanks to those early recordings and an early redundancy pay-out, is now doing very nicely thank you. To ask the obvious question first, where on earth have you been since you left The Beatles? From ’62 to ’68 I was still in show business with a band called Lee Curtis and the All-Stars. In ’68 I worked for twelve months in a bakery, slicing, racking and loading and in 1969 I joined the Civil Service and stayed with them ’till the end of ’92 and since then I’ve been touring with the Pete Best band. What exactly did you do for the Civil service? I started as a clerical officer working on the employment side then worked my way through promotions and different aspects of the service up to special programmes manager in the North West. I was based in Liverpool with my own specific area to cover. So during all that time had you actually stopped playing? I hung my sticks up in 1968 because that was the only decision I could make. I had a family to bring up and needed to look towards their security (although I’ve always said if I was a single guy I’d have kept looking for that mercurial chance) so the only way to do it was to say no to drumming. I couldn’t work and play at the same time so it was a case of finishing and from ’68 through to ‘88, except for a couple of times when I”ve gone down into the cellars to thrash the dust off the old Ludwig, I didn’t really do anything. I was persuaded by the Cavern City boys to do a one-off convention in Liverpool in ’88 at the Adelphi [Hotel]. 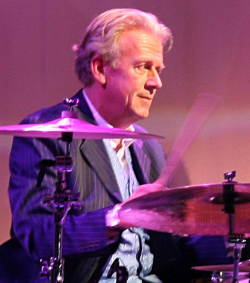 I thought it was going to be a one-off and got a few Merseybeat friends together and asked Roag [Pete’s drummer brother] to throw his kit up on stage because it was the first time we’d ever played together. It could also have been the last although it hasn’t actually transpired that way! Anyway Billy Kinsley [from the Merseybeats] was in it ‘cos he”d always said ‘If you ever do a gig in Liverpool I’d like to do it with you’ and Kenny Parry, who’s a household name in Liverpool, and Dave Goldberg from Liverpool Express. We did a couple of rehearsals, then the show at the Adelphi and went down so incredibly well that people said ‘You can’t just leave it as this, look what’s happened!’ Because of that I began to be drawn into a bit more drumming until it reached the proportion four or five years ago that I needed a regular band, which is the line-up I have now – they’re all from Liverpool. 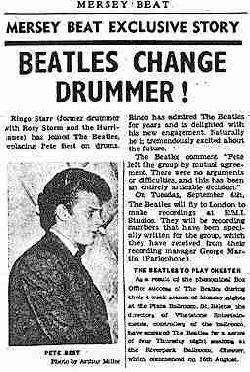 Much has been speculated upon the subject but I felt I should ask Pete Best about just why he felt he’d been sacked from the Beatles shortly before they were, in the inimitable words of John Lennon, about to become as famous as Jesus. To be quite honest the reasons which were given about my drumming ability have simply never held water. Other drummers in Liverpool have said this; even George Martin himself turned round and said it wasn’t anything to do with drumming ability. Even today people are asking the same question. And then you’ve got all the other things: the jealousy angle (Brian Epstein may have felt rebuked by the fact that I”d turned down his proposition), the hair-style, anti-social behaviour, everyone’s still trying to come up with the definitive reason. There’s one which jumps out of the ‘Anthology’ where I think it”s George who brings up the fact that I’m unreliable. It’s hogwash, in a two year period I missed two or three gigs! If that”s unreliable…? It just doesn’t add up. The bottom answer in this day and age is people are still tending to believe the myth and we’re trying to present the fact as it should be. So Epstein put out the fact that your dismissal was due to not playing as was expected? But Merseybeat never refuted the fact that you hadn’t left, you’d been sacked? Oh no, but that was the press-release that was given. It was only afterwards that people came up and said ‘What the hell did you leave the Beatles for?’ I said ‘Hang on a minute, I didn’t leave’. Then the word started to get out and fans started to revolt. They didn’t like it and couldn’t understand it in view of the fact that we were due to go back to the studio to put the finishing touches to ‘Love Me Do”. 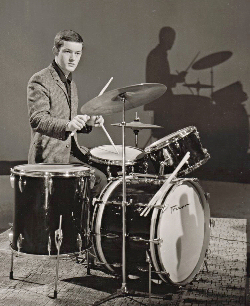 It didn”t make sense [especially in the light of the fact that it was a session drummer called Andy White who played at least on the single version of ‘Love Me Do’]. Rumour has it that Ringo wasn’t the only person to be asked to join the band. Since then we’ve heard that Freddie [Marsden] from the Pacemakers was approached as was Johnny Hutchinson [from the Big Three]. According to Johnny in the few words he speaks about the sixties, he said: ‘No, he”s a friend of mine, I’m not about to jump into his shoes and plus the fact that I”ve got a great band myself and I’m happy.’ There may have been others who were approached before so he wasn’t the first choice. Ringo was the first guy who accepted it. God knows how many others may have been approached. How did you cope when it happened? It has to be bad enough getting kicked out of any band, but when it’s the Beatles it must be a major disappointment, worse than losing your winning lottery ticket. It hurt to be quite honest. People have often said, ‘You must have been bitter’. Bitterness is something which can make you totally off your head and it remains with you. There was resentment, don’t get me wrong on that particular side, simply because of the circumstances and the way it happened. I didn’t get a chance to defend myself; they weren’t there at the dismissal. They left it up to Brian. It was cut and dried. I understand Paul McCartney actually phoned the office when you were there to see if the dastardly deed had been done but he was too early. While the hatchet was falling. Brian said ‘I”m in the process of telling Pete’. One minute you were on really good money for a band which at that time wasn”t a recording band although we had a recording contract. We were back from Hamburg, we’d played at the Star Club so we’d pushed our price up to – it doesn”t sound much now – round about sixty or seventy pounds a night [at a time when many a family breadwinner brought home £5 a week after tax and a top professional musician earned £35 for a week from theatre, radio, TV and recording studio work.] So if you split that, give the manager his cut and all the rest of it and we were on pretty good bread. So to lose that and start playing with a band that, OK, had regular earnings, but not actually making the same amount of money. It was a drop. There’s all those things to be taken into consideration. I’ve read your book so have an inkling of the answers to this question but, for the record, who exactly are the drummers and other musicians who have inspired you to date? My early inspiration came from Krupa. 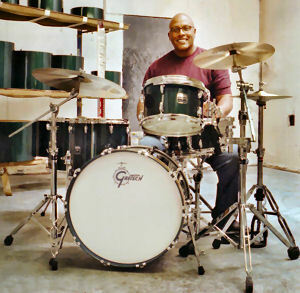 He was a powerhouse style drummer although of course I wasn”t playing that thirties and forties, jazz-orientated Big-Band type of the thing. But it was a personal sort of thing that if you had a leaning towards drums he was the guy you watched ‘cos he smacked them a bit. Then there was the Morello phase and the local drummers I liked, Johnny Hutch was one of them, and there was Ronnie Parry who was a great technician and could play all kinds of music. Then you go all through the gambit: Keith Moon and Kenney Jones who were lead drummers in the field, along with other people Ginger Baker, John Bonham I could go on and on. Do you speak to Ringo? So you’ve never spoken to him or the other Beatles in all those years? It isn’t a case of that, we’ve never met up. We did two gigs [with the All-Stars] where I was on stage with them. Ringo was with them but there was no communication. But from that day to this there’s been no verbal communication – they’ve gone their way and I’ve gone mine. I think a lot’s got to be taken into consideration about what they became. But they’re still the same guys you grew up with who were in the Casbah Club with you. Still the same guys, but at the end of the day they became the phenomena. Their work and their social environment was totally different and they were under a lot of pressure just to keep to themselves, to keep their own wagon-train together without bringing other people into it. And I’ve always looked upon it as that, plus the fact that you walked different walks of life. So to talk to them now there might be embarrassment and resentment. Why go back and open old wounds? Let’s move on. How do you feel about modern music? I think it’s good. With Oasis it’s great to see a band which stands up and says ‘OK we were greatly influenced by the Beatles’ and they make no bones about it. I’m certain that most of the bands as it transpired have had some influence from the Beatles but they won’t admit it. You can listen to some of the music and you can hear the parallels. I was amazed that the La’s didn”t make it really big; I know they’ve had a certain amount of success but I thought they were going to be huge, because they were so accessible. 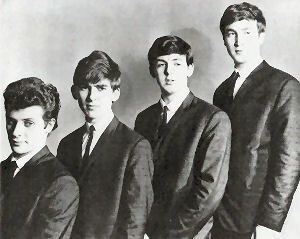 To me they were very like the Beatles. I always look upon the La’s as being huge. Apart from the Beatles and Echo and the Bunnymen, the La’s always comes into the conversation when you’re talking about Liverpool bands and people always ask the same question – ‘What the hell happened to them?’ OK we’re not there, we don’t know what’s going on, but I”m told they self-destructed. 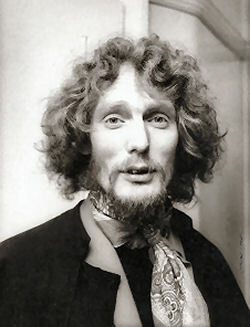 I’ve always been intrigued by the fact that when you were in Hamburg you presumably played some early Beatles songs as well as rhythm and blues classics like ‘Some Other Guy’, ‘Long Tall Sally’ and so on but on the records you made at that time with Tony Sheridan you went for standards like ‘My Bonnie…’ and ‘When The Saints Go Marching In’. It didn”t seem to be evocative of where you all stood musically at all. ‘My Bonnie…’ is an old German folk song anyway which was very popular and ‘The Saints…’ is one of these songs which are house-hold names: Jazz bands play it, Big Bands played it and so if an A&R man was coming in listening to our repertoire and looking for something which was going to be good for the general audiences….? You had a German intro on one so the Germans could relate to it, plus we played it night in and night out and the response from the German audience was tremendous. Speaking of repertoire, somebody wrote a letter into Merseybeat saying how good looking you were and that if you recorded a song called ‘Hully Gully’, which you used to play a lot at the time, it would be a smash hit. Can you tell us anything about that? We’d heard it a couple of times in Germany, brought it back and put our own arrangement to it and we played it a lot in Liverpool. 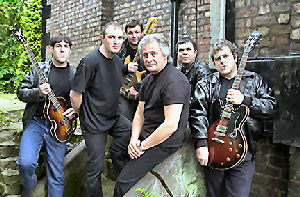 And at Hamilton Hall in Huyton the minute we played ‘Hully Gully’ that was the signal for the fight to start! Chairs got wound-up, the bottles got pitched and all the rest of it. Some nights Bob Wooller would come over and say: ”For God’s, sake don”t play ‘Hully Gully’ we don”t want any fights’ and the funny thing was if we didn’t play it Hamilton Hall would stay quiet. But when we played it was like a signal for the boxing match to start. When bands with drummers like Cozy Powell and Ian Paice first went to Germany in the sixties they used to play nine forty-five minute shows a night which was very good for their ‘chops’, but tough on the body. Did the Beatles play those long hours too? Generally the first gigs were forty-five minutes on and a quarter of an hour off, but over a long period of time. It normally worked out that we were around and on stage for about six or seven hours. At the Indra it was like that but when we went to the Kaiser-Keller with Rory Storm we alternated with them and played an hour on and an hour off. You could still start at six and finish at 4 o’clock in the morning. When we went back to the Top Ten Club we changed to 45 on and 15 off. At the Star Club, where they had more bands on we’d start at ridiculous times like four o’clock in the afternoon and finish at 3 o’clock in the morning. It was hard work but we didn’t even think about it. The funny thing was when we got there and they told us we were going to play from seven and finish at four we thought ‘Bloody hell, how are we going to do it?’ But they were easy sets, and sometimes when there weren’t too many people in you could coast. But even on our nights off we’d be asked if we wanted to play somewhere else. We played hard on stage and enjoyed ourselves. 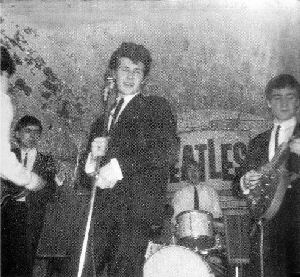 We never had a set list (that was something which came in with Brian Epstein) so as the lads felt it, they would be the ones who’d pick the repertoire on stage. So the set would change depending on what the individual members wanted to do. I’ve heard stories of the time which portrayed John Lennon in a different light to that perceived by the rest of the world when he became one of the ‘loveable mop tops’. Was he ever an aggressive sort of person? He was aggressive to people he could be aggressive to. There was a hard streak in John and he could be a fighter. He and I got into scraps and once [in a well-documented fracas] we helped Stu [Sutcliffe] and pulled him out of a fight in Latham Hall. Out of the remaining three, John, George and Paul he was the strongest and could handle himself. There was an aggressive streak in him although he didn’t go round looking for trouble. It was more ‘OK, just be a little bit wary if he loses his temper’. Your first kit came from Rushworth’s [music shop in Liverpool] what was it? 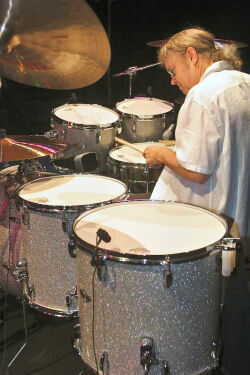 It was a four-piece Premier in pearl blue with bongos. 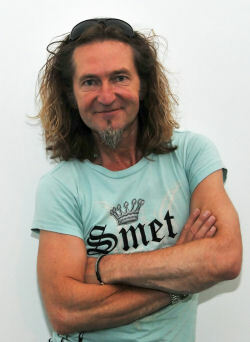 I ordered the Ludwig kit just before I was kicked out [of the band] from Barratt’s in Manchester. When I started making enquiries about Ludwig they were almost unheard of. I went to Barratt’s and they ordered them in Sea Jade and I’ve still got them. They’re not immaculate, they’ve been well played. I’m playing a black Tama in the band now. I was intrigued by a reference in your book to something called ‘Atom Beat’, it didn’t ring any bells with me at all. Ringo once said that if he’d known people were going to be asking the questions they’re asking thirty-four years after the event he’d have gone out of his way to remember more. How are you at remembering it all? Some people can’t remember what happened last week. I’ve been blessed with a good memory which has stood me in good stead. Although don’t get me wrong I’m not a historian. The recall is there and I can remember most of the dates and things that transpired during the day. There are a lot of people out there who know everything about the Beatles, when a record was released, how many cuts and everything else about it. They have to know everything about it whereas I can look back with fond affection. I know that you’ve recently had some money from the Beatles and perhaps you can confirm the rumour I heard that you’ve become a millionaire from the Anthology album. Has it really been that good? Indications are that it might be that good. Did you have to fight for the money or did it just happen? The approach was made by Apple [the Beatles record company]. They asked if I’d have any problems with the release of the album. I said no and once it reached that stage the lawyers were there. The band is a priority although there are also other projects we’re working on. 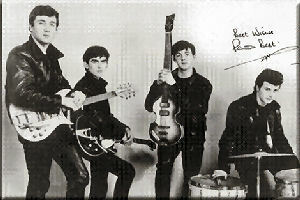 The book’s out [‘The Best Years Of The Beatles’ by Pete Best with Bill Harry published by Hodder Headline], we’ve got the CD out, we’re still writing, we’ve got publishing interests, we’ve now got distribution so there’s a lot of interest from the major record companies as regards the material, the documentary’s in the pipeline, with approaches as regards film rights so things are ticking along very nicely. It’s still hard work, but it’s enjoyable and things are moving forward. Is it better to have the success this way, or would you have preferred to have made it within the framework of the Beatles? I always look on what’s happened recently as being the icing on the cake and more for recognition of services rendered. It’s been nice to do it this way. I was able to really get back into sport: swimming and rugby, back into the old circle of friends, the boozer on a Friday night, getting slaughtered – the usual things! Friends in Liverpool have said I’m setting a trend: playing until twenty-eight, leaving, bringing my family up, then coming back at fifty-something and starting again. It’s been great. 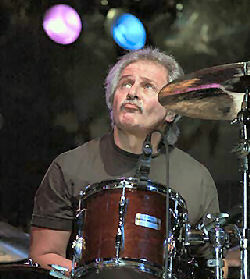 I found Pete Best to be an exceptionally nice guy who doesn’t appear to have a trace of bitterness about him. He did not bad mouth any of the Beatles, their organisation, or anyone else in this interview even though he had ample opportunity to do so if he’d wanted to. I’d say he deserves everything which is coming his way!